On a quiet winter evening, almost a year ago, John planned a super romantic evening for Dana. They were going to Madison for Christmas but on the way they stopped at Wisconsin Dells. 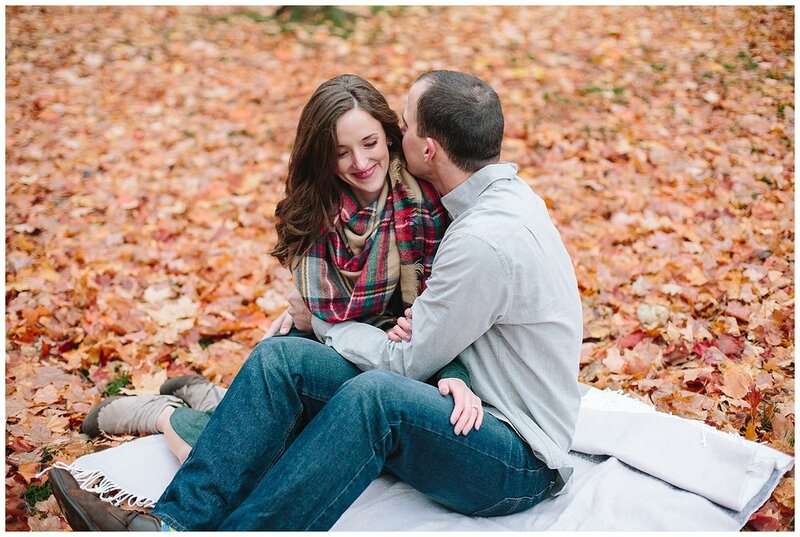 There, he rented a cabin and after a yummy dinner, popped the question. Delighted, Dana said yes. 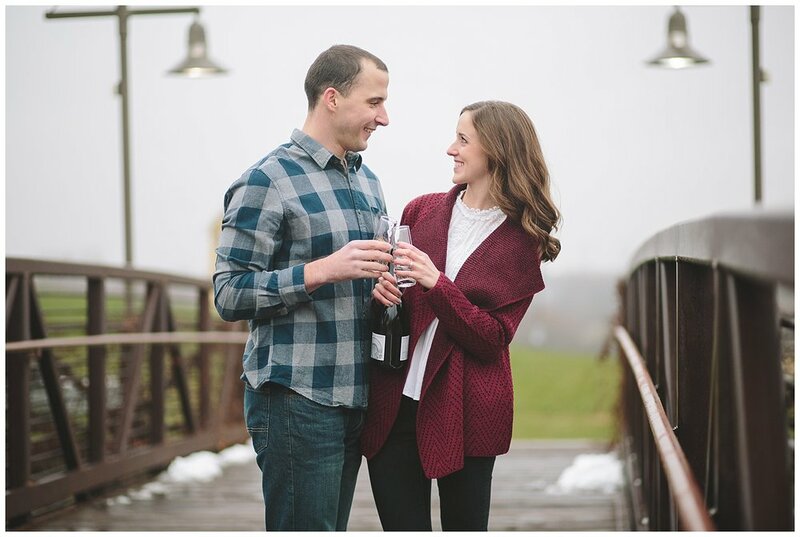 I am so excited for these two lovebirds! 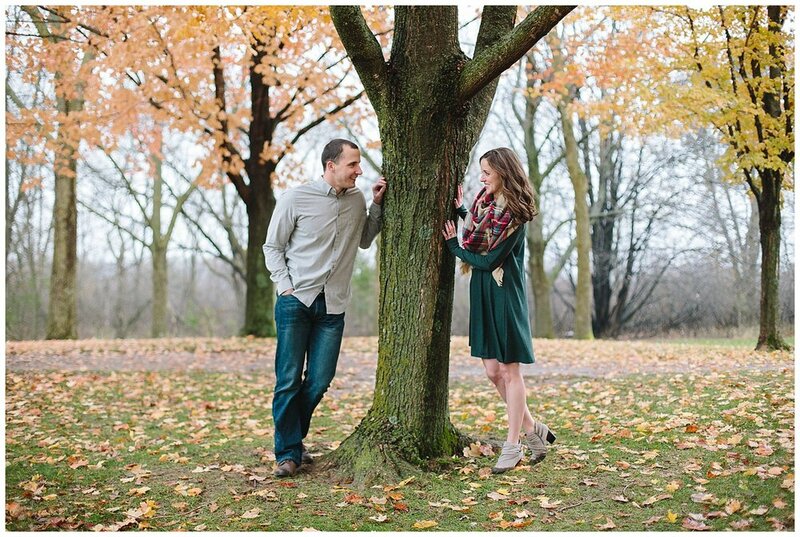 Not only are Dana and John all smiles and laughs (which made for a super fun engagement session) they are also super passionate about each other and their families. 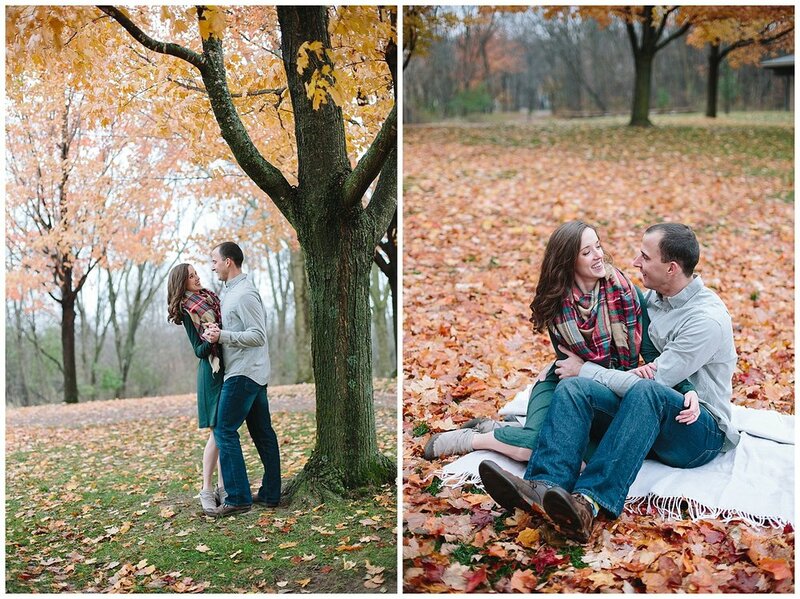 I can't wait to photograph their special day next August!! It's going to be one for the books!